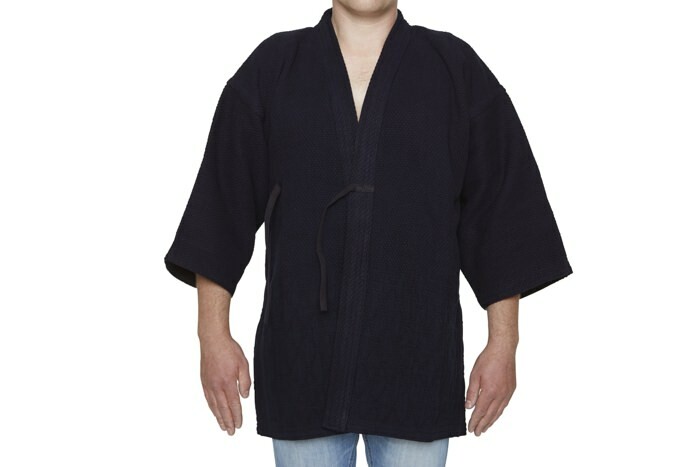 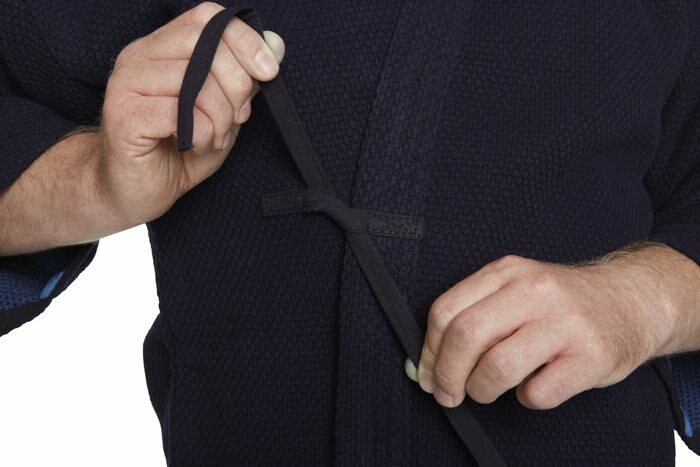 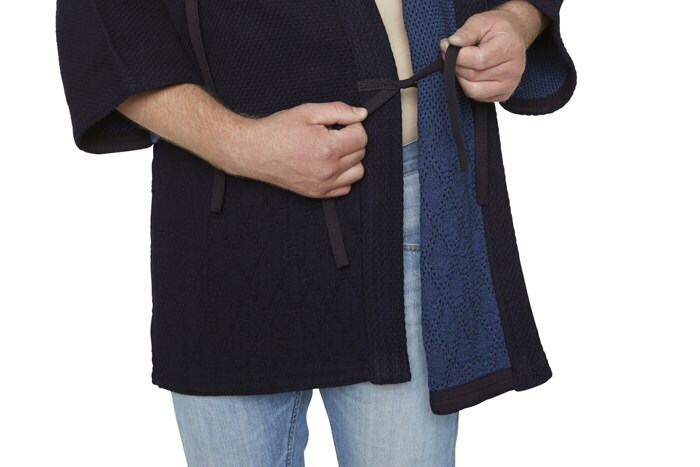 Putting on the Gi - Putting on the clothing: Gi - kendo-sport - Der kompetente Kendo-On­line­shop. 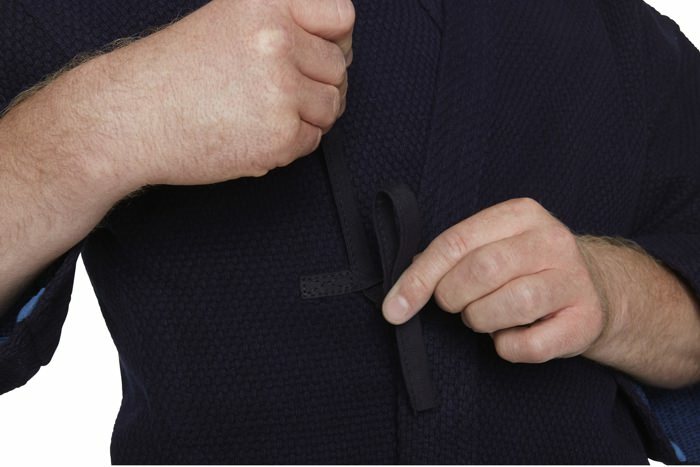 1.Put on the Gi, and cross the upper outside Gi bands over one another in a L form to begin to form a knot. 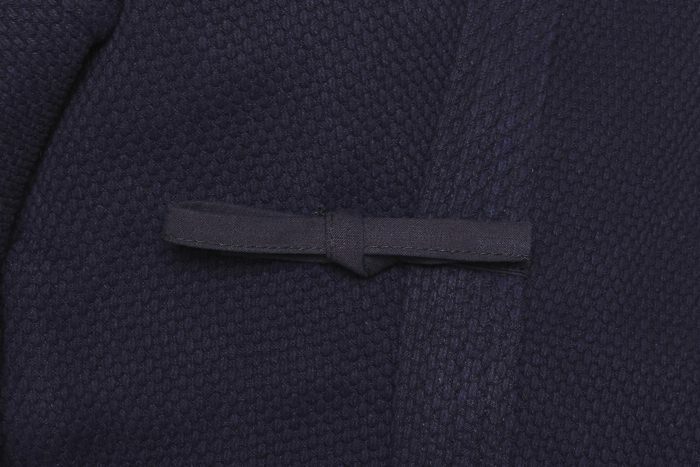 2.Double the left band (like when you are tying your shoes) and lead the right band from above to form a bow.